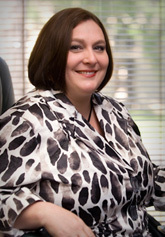 Ms. Losch is a 1997 graduate of Southeastern Louisiana University, where she received a B.A. in Psychology, with a minor in English. She received her J.D. degree in 2000 from Louisiana State University, and was admitted to practice law that same year. She has extensive legal experience in disability law and education law, having practiced at a non-profit law firm for nearly ten years. Ms. Losch started out as a staff attorney in both the Americans with Disabilities Act/504 section and the Special Education Law section. She was quickly promoted to managing attorney of the Americans with Disabilities Act/504 Section. While managing attorney of that section, she was involved in class action litigation related to and following Hurricane Katrina. Because of her interest in Special Education law, she continued to work cases from the Special Education Law section. When the opportunity arose, she transferred to the position of managing attorney for the Special Education Law section, where all of her time was dedicated to education law. Ms. Losch has conducted numerous training seminars involving Section 504 of the Rehabilitation Act, the Americans with Disabilities Act, and the Individuals with Disabilities Education Act. She has been involved in numerous education related task force committees over the years involving issues such as legislative changes on discipline, restraint and seclusion laws and regulations, and educational services for students in the juvenile justice system. Ms. Losch joined Hammonds, Sills, Adkins and Guice in March of 2012. She works in the Baton Rouge office and primarily handles special education and employment matters on behalf of school boards. She is an active member of the Baton Rouge Bar Association and the Louisiana Bar Association, and is admitted to practice in all of the State and Federal Courts in the State of Louisiana, including the U.S. Fifth Circuit of the Court of Appeals.